Baby Diaper Bag Just $29.84! Down From $50! PLUS FREE Shipping! You are here: Home / Great Deals / Amazon Deals / Baby Diaper Bag Just $29.84! Down From $50! PLUS FREE Shipping! 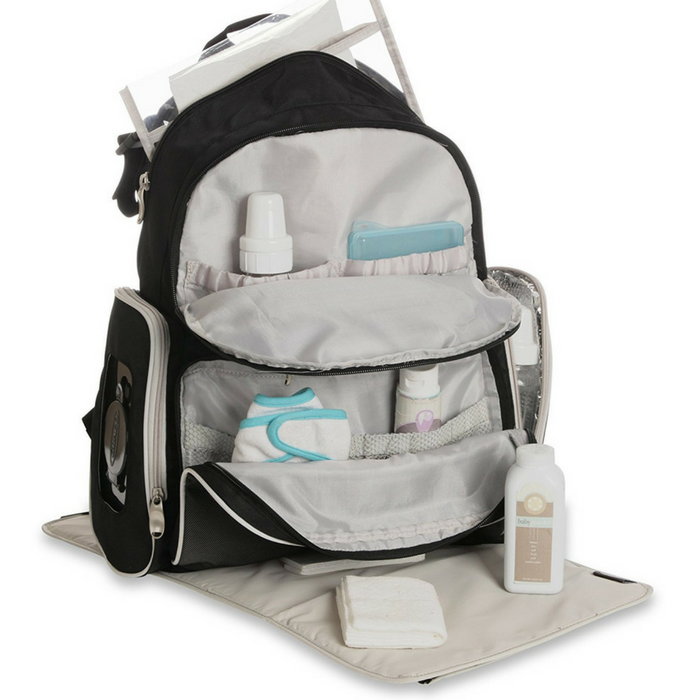 Amazon has this Baby Diaper Bag on sale for just $29.84 down from $49.99 PLUS FREE shipping! Stylish functionality, multiple compartments and spacious interior make the Graco Gotham Backpack Diaper Bag the ideal companion for baby and parents on the go. With choice of shoulder straps or easy tote carrying handle, this backpack is perfect for grab-and-go convenience. Large interior pocket includes individualized storage compartments and zip close pocket to safely organize baby’s toys, burp cloths, apparel and more. Multiple exterior zippered compartments, insulated bottle pocket, and wipes dispenser provide quick access to items mom and dad rely on most to keep baby happy. When it’s time for a diaper change, the removable changing pad makes it easy to keep baby dry no matter where parents may be. Zippered interior and exterior pockets are also handy for safekeeping parent’s keys, cell phones and wallets.